Come catch Moshe as he returns to his home town for his one hour special. 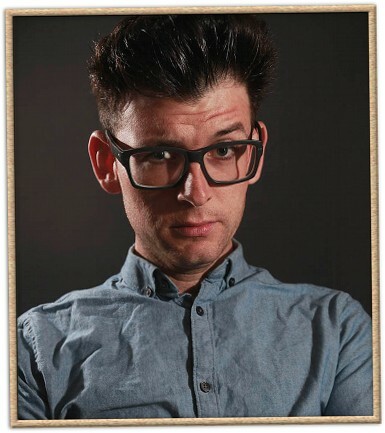 A regular panelist on Chelsea Lately, Moshe Kasher has also been featured on Fox, NBC, VH1, MTV and more. In 2009, he was named "new comic of the year" by Itunes. In 2010 he was featured on Late Night With Jimmy Fallon. In 2011, he performed on the John Oliver Stand Up Comedy Show on Comedy Central. In 2012 he will be featured on an episode of Showtime's Shameless, where he will play a deaf, crack addicted, paraplegic male prostitute on his death bed. His mother is very proud. This March 28th, he will release his first book through Grand Central Publishing, "Kasher In The Rye" a comedic tale of his troubled childhood growing up in Oakland. He currently lives alone in Los Angeles. Desperately alone. BE PART OF OUR EXCLUSIVE LIVE AUDIENCE! One which will not put our reply in your junk folder. If you have your email account with big ISPs (Hotmail.com, Yahoo.com, AOL.com, etc..), please check your spam box, or add our domains - theblacklistnyc.com/tblus.com - to your white list or address book. Please DO NOT submit double requests. If you requested tickets via E-Mail already, do NOT request them again here. Thank you very much for your interest in the show.